Drew van Vuuren, 4Di Privaca, says POPI means South African companies should ideally be looking for local alternatives to popular cloud platforms from the US. Productivity applications are becoming more personal than ever, with workers in many large South African companies relying heavily on their own software and services to do their jobs. In recent years, the bring your own device (BYOD) trend has caused an upsurge in the usage of cloud-based consumer services - Evernote, Dropbox, Skype, WhatsApp and many others - in the corporate workplace. Enterprises must walk a fine line between allowing users to access the tools they feel make them productive and locking out the risks they may introduce. On the upside, many of these tools are simple, reliable and free to use. Because end-users already use these applications for personal purposes, there may be some savings on training. But on the downside, they're generally not built with enterprise security and compliance needs in mind, and many bring a range of IT administration headaches and data privacy risks into the unwary organisation. Now that end-users are bringing their own mobile devices to work, they have an expectation of instant gratification from technology - they want information at their fingertips, says Yaron Assabi, founder of Digital Solutions Group. This is exactly what they get from the simple, intuitive cloud services that have become so popular over the past five years. "A lot of these consumer applications are free and flexible, but there are inherent risks to allowing them in the workplace," says Assabi. "What if an employee leaves and his documents reside on the cloud outside your corporate systems?" However, the risk of not allowing these tools in the workplace is that top talent, especially the mobile-savvy younger generation, will not see the organisation as an employer of choice. CIOs often have little choice but to accept the onslaught of users bringing their own applications into the workplace, says Stuart Scanlon, sales and marketing director for New Era Solutions. Smart CIOs should see how to use the trend to their advantage rather than trying to fight it, for example, by using new application environments to improve usability and collaboration features in traditional enterprise applications. In the past, companies have looked at embedding applications such as enterprise resource planning and customer relationship management into the familiar interfaces of Outlook and other mainstream apps, Scanlon says. Why should they not look to embed these applications into environments such as Facebook or Google Mail? One of the major considerations for organisations as consumer devices and apps proliferate in their workforces is regulatory compliance. This is especially the case with portions of the Protection of Personal Information (POPI) Act having come into effect from April this year, says Drew van Vuuren, CEO of 4Di Privaca. POPI demands that organisations put processes in place to secure personally identifiable information of clients and staff, and this high value data is at most risk when it's accessed remotely or on a mobile device. One implication of POPI is that personally identifiable information shouldn't be processed or stored in countries that don't have data protection regulations that complement the POPI Act, says Van Vuuren. You can use your own applications, but you must use them with care and you mustn't try to bypass our applications. Yaron Assabi, founder, Digital Solutions Group. The US, home to the most popular bring your own app services, is notable for being one of the few countries without a comprehensive information privacy law. For that reason, South African companies that are looking at cloud services as a major pillar of their IT strategy should ideally be looking for local alternatives to the likes of Dropbox, says Van Vuuren. If employees are bringing tools like Skype and Dropbox into the organisation, the CIO needs to recognise there are business needs the IT department is failing to meet, says Tielman Botha, mobility services lead at Accenture South Africa. Rather than suppressing the use of these applications or allowing them to take over the enterprise, CIOs should offer users viable alternatives. There are many enterprise-grade alternatives to Dropbox for sharing and backing up files, for example, while Microsoft's Lync is a more secure and stable alternative to the Skype platform, says Botha. The key here is that any alternatives the IT department offers to consumer apps and services need to be as feature-rich and easy to use, or users will simply continue to try to bypass the corporate-supported IT applications. The challenge of managing the new app landscape is best met through a mixture of policy and mobile device management technology, says Assabi. "We give every employee and contractor very strict guidelines. We say, 'You can use your own applications, but you must use them with care and you mustn't try to bypass our applications'." To ensure compliance with laws such as POPI when using collaboration tools, organisations must put in place measures to control what data can be assessed and from where, says Van Vuuren. Remote access needs to be controlled through secure connection methods, and data that is accessed or exported from the secure company environment should be kept and transmitted in an encrypted state. If employees are bringing tools like Skype and Dropbox into the organisation, the CIO needs to recognise that there are business needs the IT department is failing to meet. Tielman Botha, mobility services lead, Accenture South Africa. The challenges South African companies face in managing a more mobile workforce that depends heavily on user-owned mobile devices will not be going away any time soon. Rising fuel prices, traffic and e-tolls are all prompting employees to ask for more flexible working arrangements, says Botha. At the same time, better and cheaper mobile broadband has made it more viable for people to work away from the office network. "There's a big uptake of mobility in South Africa," says Botha. "There is a mobile component in nearly every request for proposals we answer." Local companies are also starting to look at more sophisticated options, such as mobility as a service, he adds. Mobility as a service offerings allow companies to consume mobile products, software, and services under a per-device, per-month fee. Such solutions bring together applications, security software, services such as provisioning, and the device itself into a packaged offering. Benefits include more predictability in the costs of managing a mobile workforce as well as simpler management. The mobile trend is prompting even companies that once focused on the data centre to move into the BYOD space. VMware, the data centre virtualisation specialist, for example, earlier this year acquired enterprise mobility management firm AirWatch for around $1.5 billion. The deal is tacit recognition that tomorrow's desktop isn't tied to a place or device; it could be any place and on any device a mobile worker decides to work. AirWatch is used to manage individual workspaces, mobile security, mobile applications on a device, and application data on BYOD devices. 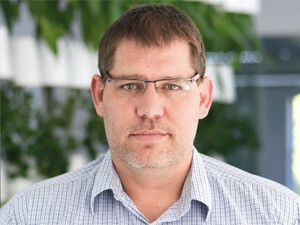 The goal is to offer a management solution that stretches across x86 server, storage, and networking operations as well virtualised desktops and mobiles, says Nick Black, head of the end-user computing business at VMware Southern Africa. Over the next few years, the challenge of managing the many applications and mobile devices end-users will bring into the network is sure to rise. However, as mobile device management solutions and tools for creating and curating enterprise app stores mature, organisations will be increasingly able to strike a balance between the flexibility of bring your own technology and the need to keep corporate information secure.